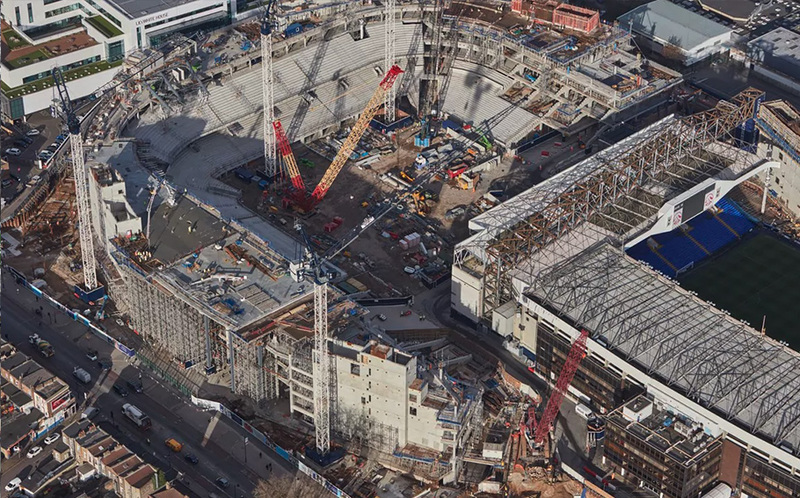 "Critical safety concerns" has meant that the launch of Tottenham Hotspur's new stadium in North London has been postponed. 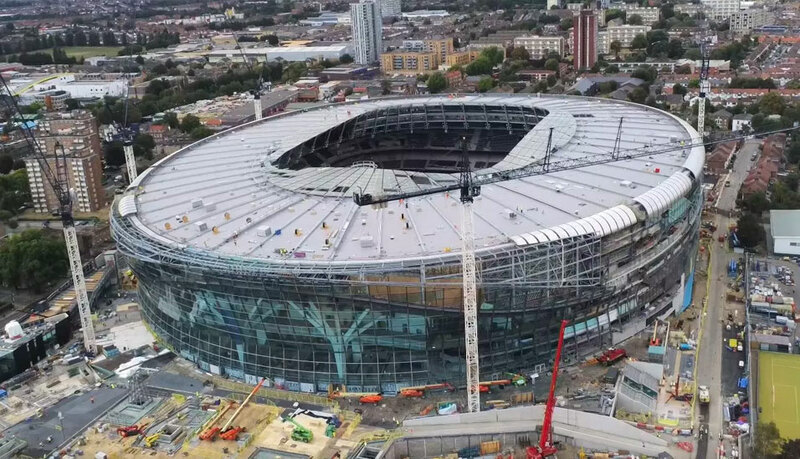 The £750 million (A$1.3 billion) development was marked for completion before the start of the new Premier League season that commenced last week. But a series of delays has caused major disruptions, meaning that Premier League and NFL matches have had to be relocated. “The delays created by these difficulties mean test events need to be rescheduled to take place ahead of any first official match at the new stadium in order to achieve the safety licence,” a club statement said. Work officially began on the stadium in March 2015. 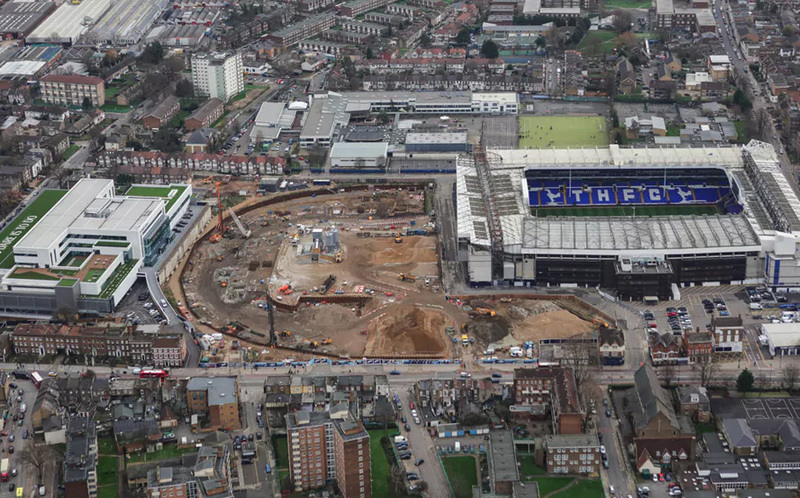 An aerial shot of North London showed the new stadium taking shape around the old White Hart Lane. 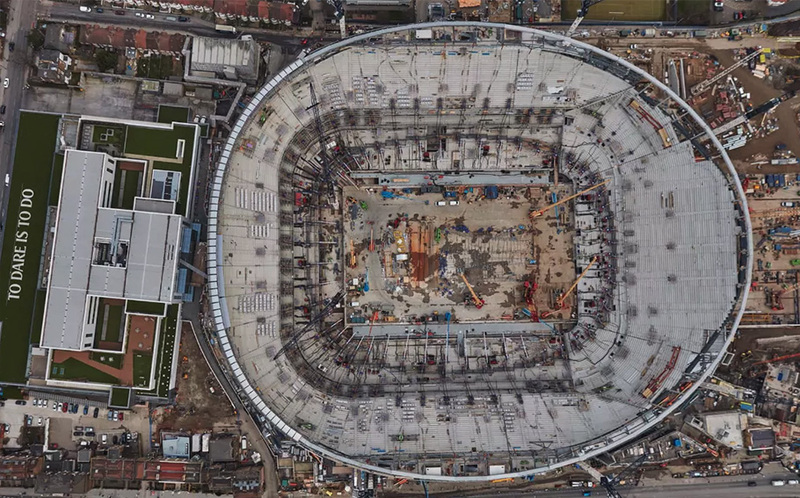 The new multi-use stadium was designed to include a structurally engineered fully retractable pitch. 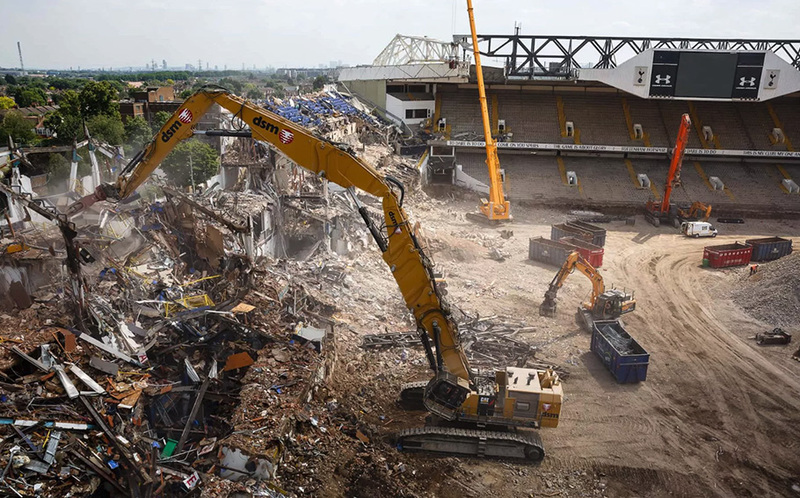 The demolition of White Hart Lane began 24 hours after the final league game after standing for 118 years. A cold and stormy start to 2018 raised fears the ground would be completed behind schedule. Work on the roof began in April. While the exterior is all but complete, a huge amount of work remains to complete the interior. 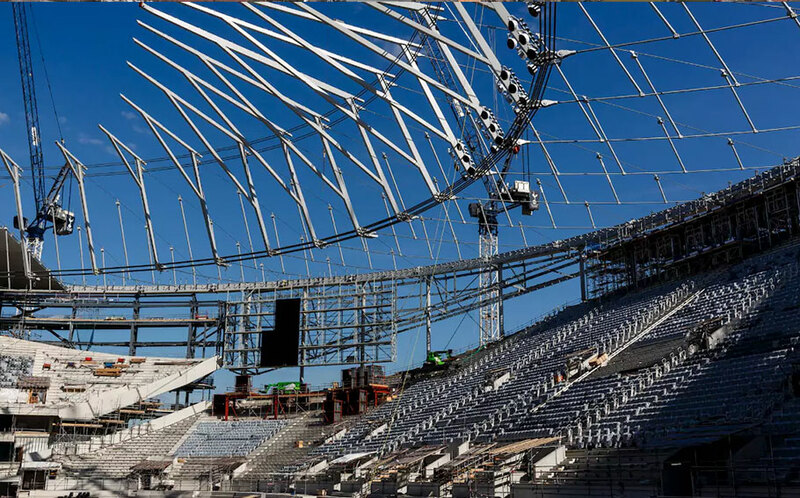 Construction of the new stadium, with naming rights outstanding, has occurred over two stages. Phase 1 began in 2015 and encompassed the northern end of the stadium. The second phase began construction in June of 2017. 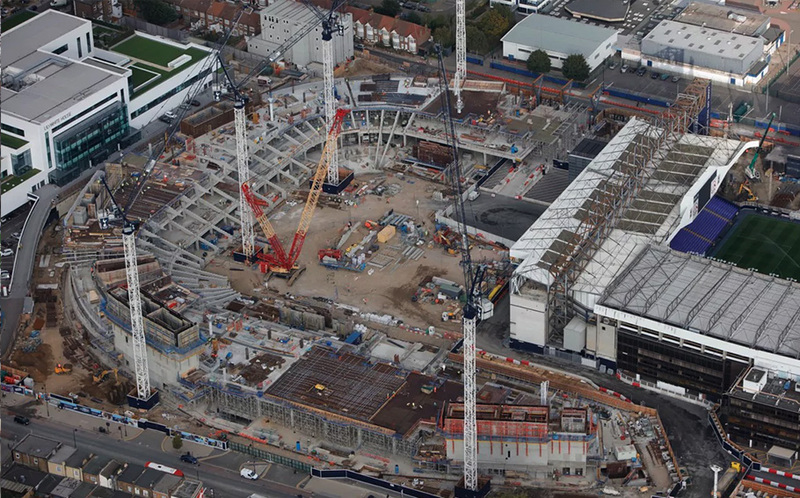 The existing 118-year-old White Hart Lane stadium was partially demolished at the end of the 2015-2016 season to allow construction of the new project. The old stadium remained in use for the 2016-2017 season while construction went ahead around it. Materials from the original stadium, such as concrete and bricks, have been incorporated into the new stadium. The new state-of-the-art stadium will feature a host of luxurious hospitality features. Food and beverage options will be abundant with Michelin star quality restaurants, an in-house bakery and a microbrewery capable of delivering 10,000 pints per minute. For the big spenders, there will be two sky lounges available as well as 65 private suites. 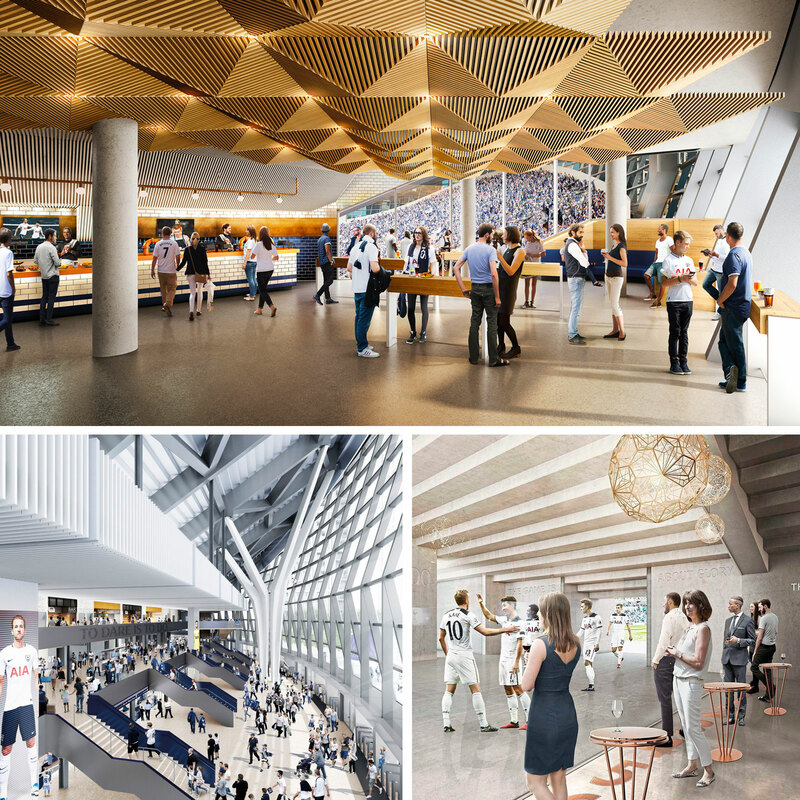 For a modest £30,000 (AUD$52,000) joining fee for two, plus £400 (AUD$700) per game, viewers can gain access to the exclusive ‘tunnel club’ to view players through one-way glass. The new stadium will hold 62,062 spectators, doubling its previous capacity. 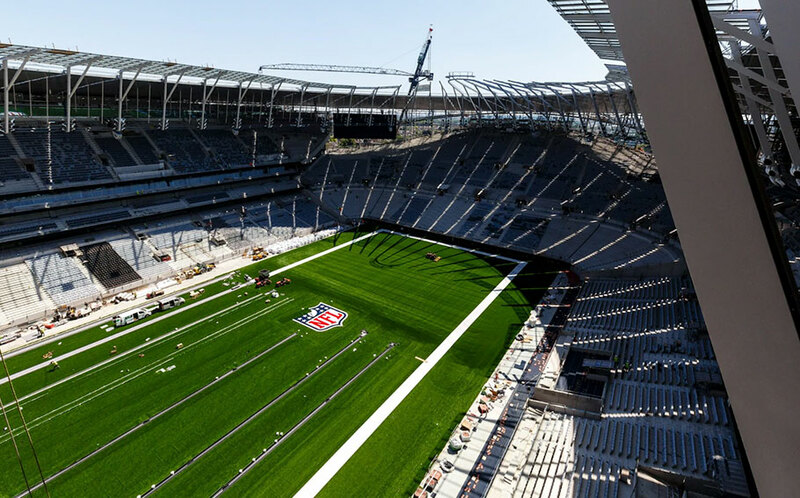 The stadium will also host two NFL games per year on a state-of-the-art retractable pitch.